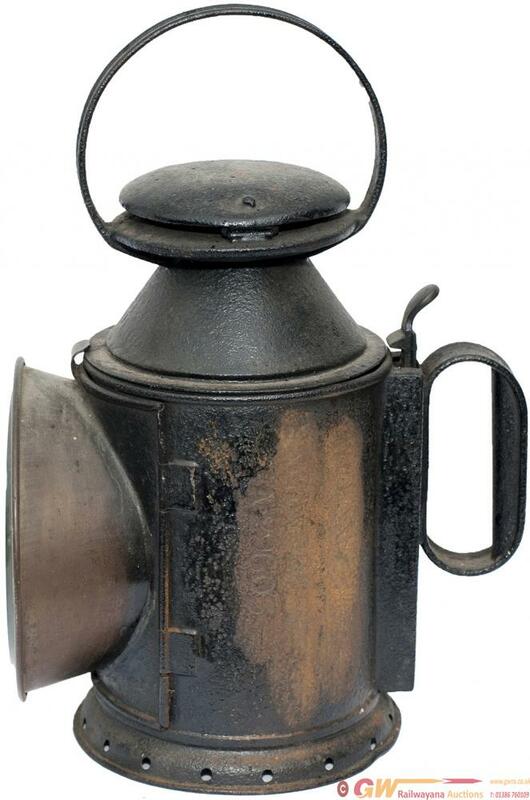 LNWR 3 aspect handlamp, stamped in the reducing cone L&NWR CARR WOLVERTON. Location stamped on the side WIGAN ENGINEERS A 29603 and also LNWR. Complete with reservoir, burner and all glasses.